JuVee Productions is an artist driven, Los Angeles-based production company that develops and produces independent film, television, theater, VR, and digital content across all spaces of narrative entertainment. JuVee Productions seeks to produce economical yet premium, sophisticated, and character-driven stories. With an emphasis on producing narratives from a diverse range of emerging and established voices alike, JuVee Productions aims to become the go-to creative hub where the next generation of filmmakers and artists have the space to craft dynamic stories spanning the broad spectrum of humanity. JuVee wants to recruit and mentor a new generation who represents the world because, for us, inclusion is a strategic imperative. JuVee is a company you can depend on to help craft your stories into a bold vision. We are interested in a new way into narrative point of view. Let’s share ideas and breed creativity. We defy preconceived expectations by continuing to set the bar for quality. We disrupt the idea of impossible and reconstruct it with proof of what is possible. Building a new and safe ecosystem that embraces all points of view as equals so that the artists can create paradigm shift in the industry. We want to be a safe place to let emerging voices grow and shine… a home for a creative renaissance. JuVee is a place where established artists are embraced and protected as they pivot and find a new side of their creative voice. Identifying raw, provocative and authentic stories taken from real life and bringing those stories to a global audience looking for connection. Subverting classic storytelling with fresh takes on characters and concepts and by promising and delivering an undeniable thrill ride. Nothing is more important than the integrity of an artist’s vision; JuVee aims to protect and platform that unique point of view in hopes of sparking conversations and creating change. JuVee is not only a multi-media company, it is a home for the omni-media artist. Change how we think. Reach new heights of creativity. Create marketable entertainment. JuVee Productions is a world leader in VR content. Viola Davis is a critically revered actress of film, television, and theater and has won rave reviews for her intriguingly diverse roles. Audiences across the United States and internationally have admired her for her work- including her celebrated, Oscar-nominated performances in The Help (2011) and Doubt (2008), and her work in ABC’s How To Get Away With Murder (2014-2015). In little more than 15 years as a professional actress, Davis has given her audiences a substantial list of performances: appearances in 23 films, more than 40 episodes of television dramas, seven Broadway and off-Broadway productions, earning a cascade of awards and nominations. Davis recently won the Emmy Award for Outstanding Performance by a Female Actor in a Drama Series for her work on How To Get Away With Murder. 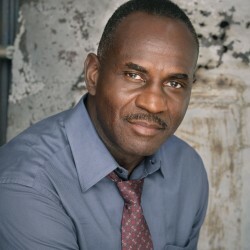 Julius Tennon is an accomplished film, television, and theatre veteran with over thirty years of experience. A native of Austin, Texas, he began as both a thespian and a star linebacker. Julius was offered a full football scholarship to the University of Tulsa, where he became the very first African-American to graduate from the theatre department. Mr. Tennon’s notable screen credits include: Fame, Friday Night Lights, Dazed and Confused, Lonesome Dove, and popular television shows such as Criminal Minds, Rizzoli & Isles, ER, The Practice, Mad About You, NYPD Blue, and Moesha, among many others. In 1999, Julius was blessed to meet the love of his life, Viola Davis, on the set of the CBS series City of Angels. A month after meeting, they began dating, and were married four years later. A couple in every sense of the word, their greatest joy comes from sharing both their life and art together. Julius and Viola have shared both the stage and screen, appearing in such notable projects as Intimate Apparel at the Mark Taper Forum, CBS’ Laws of Chance, The Architect, and Life is Not a Fairytale: The Fantasia Barrino Story and the upcoming film Lila and Eve. A graduate of USC’s School of Cinematic Arts, Kaylon Hunt has been recognized for his body of work in both acting and filmmaking. 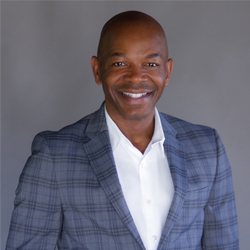 His work has been featured in top national media outlets and publications including IndieWire, Essence, and Variety Magazine, which deemed him “One to Watch” in their Hollywood New Leaders issue. 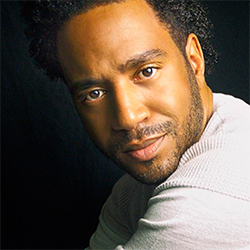 Hunt has produced a number of award-winning projects including Turbo, which won an Emmy Foundation College Television Award, and his first directorial effort, Hero Story, which has toured at festivals across the globe. Formerly a math major, Hunt has self-taught skill-sets such as programming and visual effects. He is an avid fan of technology and art, and finding innovative ways to blend the two together. Rob Williams is a veteran Creative Executive and Producer who has worked with most major studios including Paramount, DreamWorks, and Disney/ABC developing and shepherding many award-winning projects through the production process. Prior to joining JuVee he served as a consultant to the CEO of Cape Town Film Studios and independent producer. Projects he has been intimately involved in include the Michael Mann directed film ALI (Will Smith), Martin Scorsese’s THE AVIATOR (Leonardo Dicaprio) and the highly anticipated FERARRI. While at Amblin, Williams worked as a Screenplay Editor on AMISTAD, ANTS and DEEP IMPACT. Prior to joining Amblin, he served as a production supervisor on a series of award winning shorts films for 20th Century Fox including “H@” – directed by Jason Reitman. Williams began his career working with actor Eddie Murphy. He then moved to the executive ranks at Paramount Studios and played a critical role in monitoring budgets, overseeing physical production elements, maintaining guild requirements and also served as a member of the Paramount Studios Executive Steering Committee on corporate and production technological transitions. 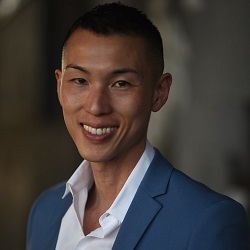 Joining the JuVee team in 2016, Andrew Wang was previously Vice President of Scripted Television and Production for the cable network Bravo, where he was responsible for establishing the network as a home for scripted programming. While at Bravo, he developed Girlfriends’ Guide to Divorce, the comedy Odd Mom Out, and the upcoming dark comedy My So-Called Wife. Prior to joining Bravo, Wang previously held the role of Vice President of TV Development & Production for Alloy Entertainment where he was involved in developing and managing popular television series such as Gossip Girl, The Vampire Diaries, Pretty Little Liars and 666 Park Avenue. He was instrumental in bringing several successful hour long drama and half-hour comedy series to networks including NBC, ABC, The CW, ABC Family and Nickelodeon. Wang started his career at Storyline Entertainment where during his three years there, he oversaw scripted and non-fiction series under ABC Studios, as well as developed longform projects under Sony Television Pictures including ABC’s A Raisin In The Sun and E’s Wedding Wars. Wang graduated from the University of Texas at Austin with a B.S. in Radio, Television and Film. Josh Nelson is the Head of Immersive & Interactive Media at JuVee Productions, an award-winning, artist-driven production company from Viola Davis and Julius Tennon that develops and produces independent film, theater, television, VR/AR, and digital content. Several JuVee VR experiences in development can be classified as “edutainment;” entertaining, educational experiences driven by the dream of using new technology to empower, equip, and engage a new generation through immersive storytelling. Josh is developing Operation Othello, a virtual reality miniseries set in the modern world of US Navy SEALs and has worked on several virtual reality projects including The Inpatient, Tough Mudder 360, and more. He produced and co-directed feature film Aventura, wrote, produced, and starred in festival favorite Happy Birthday Dad? and worked in production on Captain Fantastic, Trumbo, The Bad Batch, Lucky, and several Netflix Original feature films. 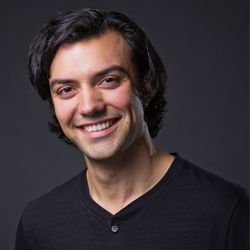 Nelson studied with The Groundlings School and has a love for character-driven narratives. He’s a diligent student and pioneer of emerging VR tech, working with top artists and innovators to create premium, immersive, inclusive, cinematic narrative VR experiences. Josh was awarded “Outstanding Cinema & Media Arts Student” of Biola University upon graduating in 2015.